Main image caption The New Mondeo Saloon. After one of the longest gestations in recent automotive history, the all-new Ford Mondeo is about to go on sale in the UK, two years after its North American counterpart went on sale. Ford promises the latest Mondeo will be even more comfortable and better to drive than the impressive outgoing model – something we’ll be putting to the test when we drive it soon. There’s no doubt that as with Ford’s other new and refreshed cars, the latest Mondeo is packed with technology designed to keep occupants safe (airbags built into the rear seatbelts, for instance), but also making it easier to live with – self-parking also comes with a function to automatically guide the car back out of spaces. Inside there’s more room, higher-grade materials and a more premium aura about the cabin than before. There’s a wide range of petrol and diesel motors, familiar from other members of the Ford family, the latter of which are expected to form the bulk of sales. From launch the Mondeo hatchback and estate are available with 1.5-litre and 2.0-litre versions of the petrol EcoBoost engine range, with 158bhp and 237bhp, respectively. 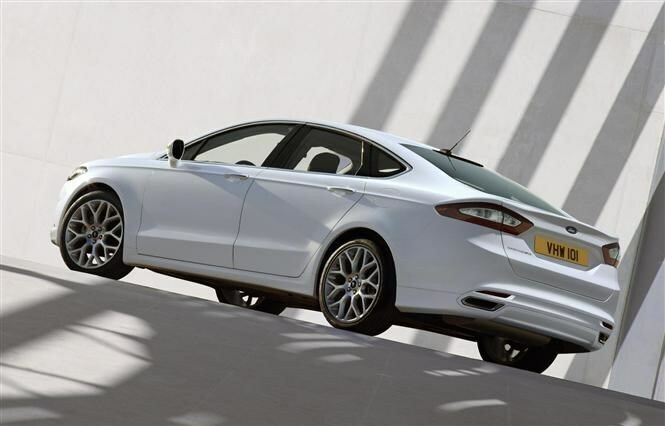 More intriguingly, the 1.0-litre EcoBoost will also appear in the Mondeo in 2015, with an expected 138bhp on offer. Those covering greater annual distances are likely to find the 1.6-litre and 2.0-litre diesels, producing 113bhp and 148bhp more appealing, especially in manual gearbox form with ECOnetic fuel-saving technologies. With CO2 emissions as low as 94g/km and a claimed economy rating of 78.5mpg, the 1.6-litre diesel hatchback. Performance enthusiasts can rest easier at news of a 178bhp edition of the 2.0-litre diesel, still with a claimed average of 64.2mpg and CO2 emissions of 115g/km. For the first time there’s also a Mondeo hybrid, with an electric motor mated to a 2.0-litre 184bhp petrol engine, that’s uniquely available in a four-door saloon body. This version’s best suited to Mondeos plying city roads, offering 100.9mpg on the urban cycle but down to 67.3mpg overall. Usefully, CO2 emissions are just 99g/km. All models are available with six-speed manual and automatic gearboxes, except the 1.6-litre diesels (manual only) and the automatic-only 2.0-litre petrols. 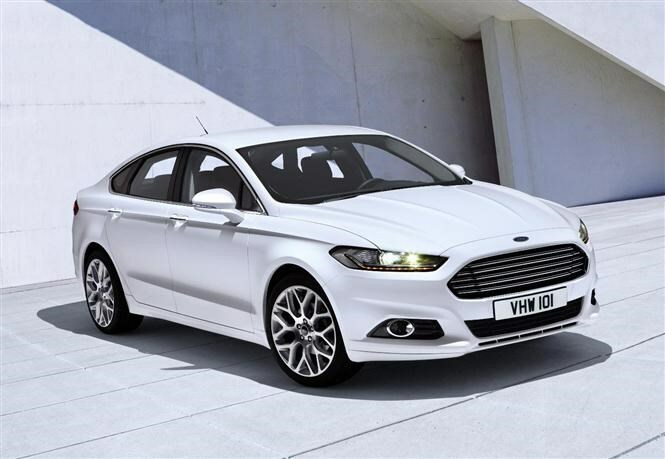 Available in three familiar trim levels of Style, Zetec and Titanium, the latest Mondeo range is well-equipped. Choose the entry-level Style and you’ll still get an eight-inch colour touchscreen with Sync2 connectivity and DAB radio, 16-inch alloy wheels, dual-zone climate control and cruise control. Opting for the Zetec adds chrome exterior trim, electrically-folding door mirrors, front frog lights and an electrically heated windscreen, while the luxury Titanium trim adds 17-inch alloys, sat-nav, automatic lights and wipers, lane keeping function and a digital instrument display. An optional X-Pack for the Titanium boasts additional kit in the form of keyless entry, LED headlamps, leather seats and keyless entry. 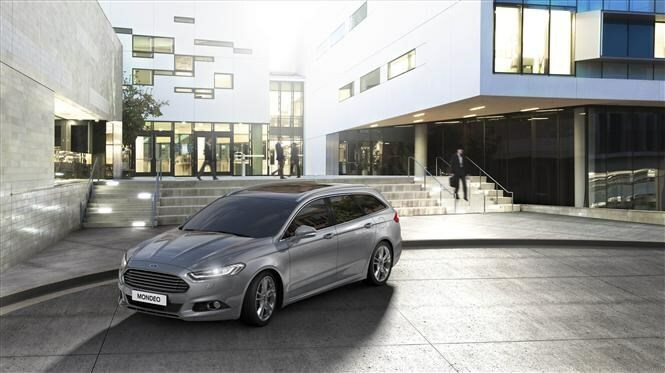 Prices for the Ford Mondeo start at £20,795 for the 1.6-litre TDCi Style hatchback up to £26,995 2.0-litre EcoBoost Titanium estate. 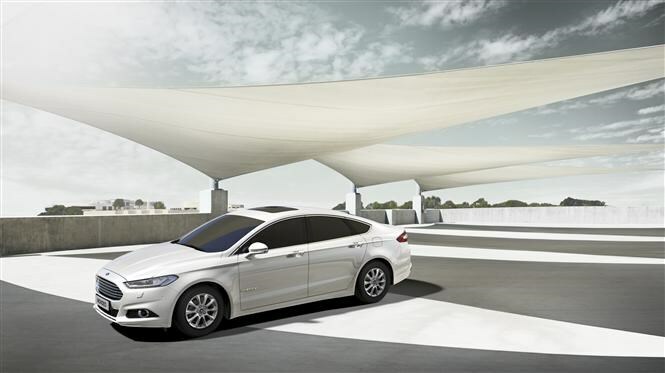 The petrol-electric hybrid saloon, only available in Titanium specification, costs £24,995. Check back soon to read the new Parkers Ford Mondeo review and find out whether the new model is likely to be a hit with private motorists and company car drivers alike. The New Mondeo Saloon. The New Mondeo Hatchback. The New Mondeo Hatchback. The New Mondeo Estate.